John Riley Keeling, 90, of New Bloomfield passed away on Wednesday, January 30, 2019 at Fulton Manor. He was born in Guthrie, Missouri on March 5, 1928, the son of the late Pearl Keeling and the late Nona (Epperson) Keeling. John graduated from New Bloomfield High School in 1947. 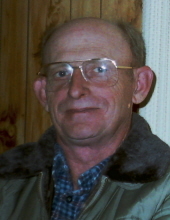 He worked at John Latchford’s Service Station prior to accepting a position with MODOT where he remained until his retirement in 1990. John also farmed in the Guthrie area; it was work he truly enjoyed. He also enjoyed hunting and mushroom hunting. He is survived by brother, Jim Keeling (Joan) of New Bloomfield and their children, Deborah Keeling, Teresa Chambers, and David Keeling (Darlene); and several great nieces and great-great niece and nephews. John was preceded in death by his parents, and infant sister, Cora Bell Keeling. Memorial services will be held at 2:00 p.m. on Monday, February 4, 2019 at Maupin Funeral Home in Fulton with Pastor Bruce Williamson officiating. Friends will be received from 1:00 p.m. until the time of service at the funeral home. Private inurnment will be held at a later date. Memorial donations are suggested to Hospice Compassus, c/o Maupin Funeral Home, 301 Douglas Boulevard, Fulton, MO 65251. To send flowers or a remembrance gift to the family of John R. Keeling, please visit our Tribute Store. "Email Address" would like to share the life celebration of John R. Keeling. Click on the "link" to go to share a favorite memory or leave a condolence message for the family.